Crytek GmbH (“Crytek”) is excited to announce first download numbers for its recently released SDK. The free version of CryENGINE®3 hit 100.000 downloads within the first five days after its release on August 17th. Frankfurt (Germany), August 22, 2011 – Crytek GmbH (“Crytek”) is excited to announce first download numbers for its recently released SDK. 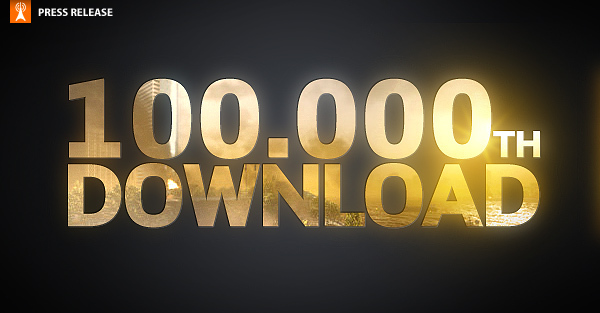 The free version of CryENGINE®3 hit 100.000 downloads within the first five days after its release on August 17th. In line with GDC Europe and Gamescom last week, the independent developer had announced the release of a CryENGINE®3 free of charge for non-commercial use. The award winning SDK provides the complete game engine to create AAA quality next generation games for PC, and includes the CryENGINE®3 Sandbox™ level editor, a production-proven, 3rd generation “What you see is what you play” (WYSIWYP) - tool designed by and for professional developers. Crytek also offers a royalty-only license model for developers who are interested in using the SDK for commercial gaming. In this case, Crytek require only 20% of the developer’s revenues from the commercial launch of their game. The free toolset is available for download at crydev.net, the former crymod.com community portal that offers documentation written by the developers of the engine, a thriving community and a supplementary knowledge base for CryENGINE 3. Crytek GmbH ("Crytek") is one of the world’s leading independent development studios for interactive entertainment. It is based in Frankfurt am Main (Germany) and has additional studios in Kiev (Ukraine), Budapest (Hungary), Sofia (Bulgaria), Seoul (South Korea) and Nottingham (UK). Crytek is dedicated to creating exceptionally high-quality video games for next-generation consoles and PC, powered by their proprietary cutting-edge 3D-Game-Technology, CryENGINE®. Crytek, Crysis and CryENGINE are registered trademarks or trademarks of Crytek GmbH in the USA, Germany and/or other countries. All other trademarks are the property of their respective owners.